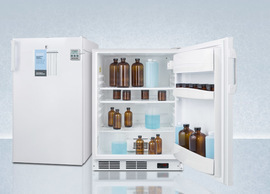 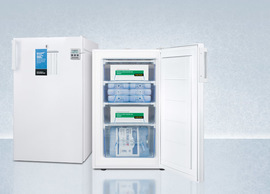 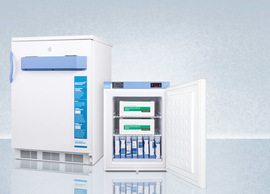 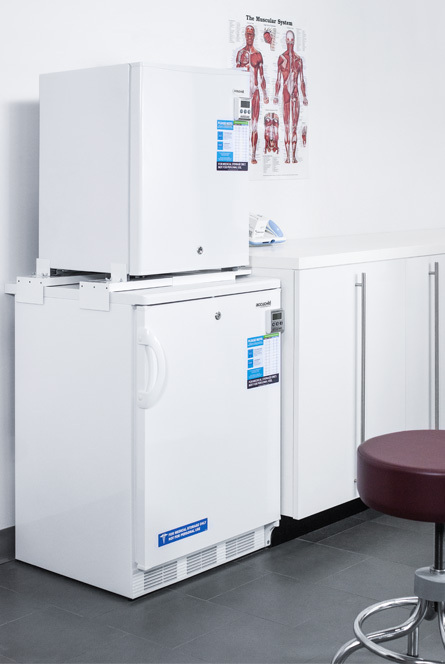 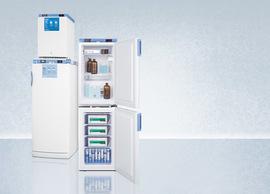 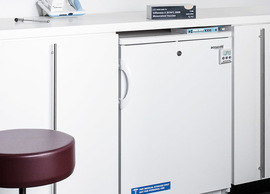 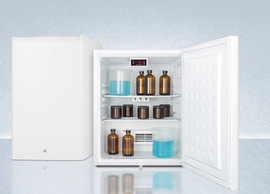 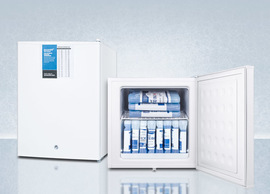 The CDC and other health agencies strongly discourage using combination refrigerator-freezer units to store vaccines, biological samples, and other temperature-sensitive material. 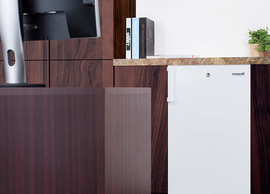 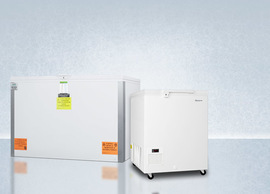 When your floor space is limited, finding two standalone units can be a challenge. 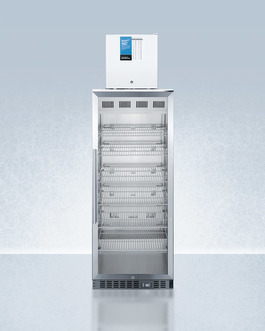 That’s where Accucold’s stacking rack comes in with a smart, flexible solution. 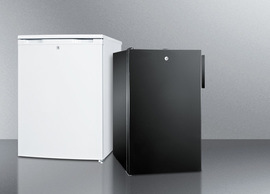 This proprietary kit allows you to create your own custom unit by safely locking the top refrigerator or freezer into the lower unit. 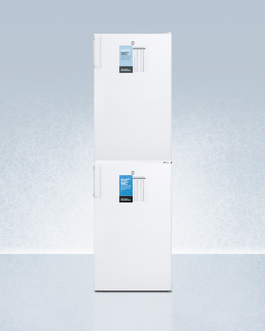 Enjoy the convenience of a dual compressor refrigerator-freezer in a slim fit that takes up less than 20" of floor space. 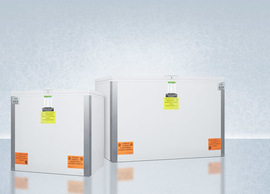 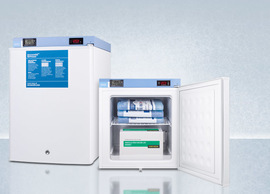 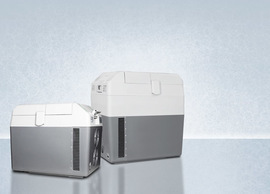 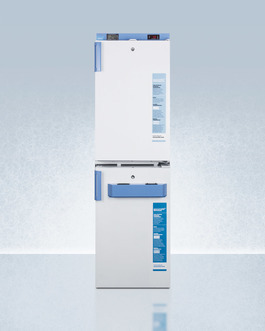 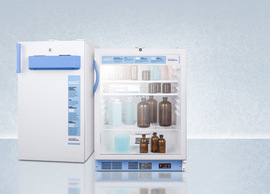 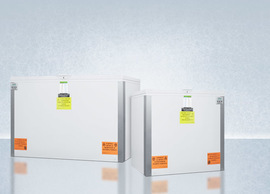 We’ve packaged together some of our most popular stackable units into two series: our "STACKMED2" combinations are specially engineered for vaccine storage, with digital controls and NIST calibrated alarm/thermometers for true temperature stability. 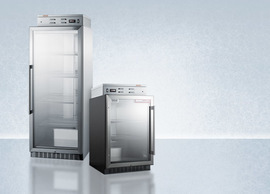 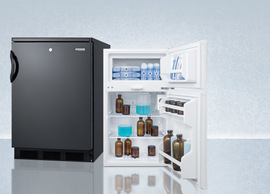 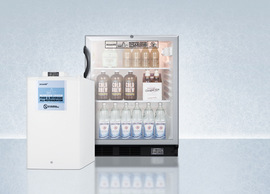 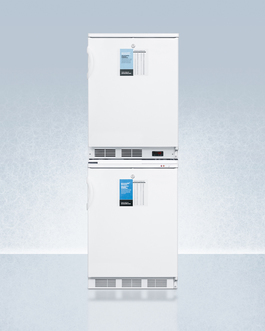 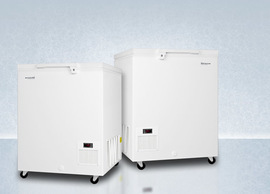 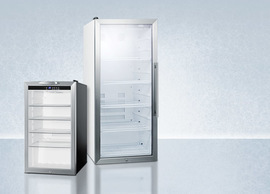 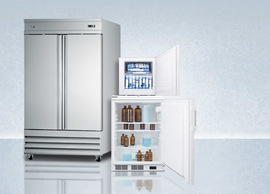 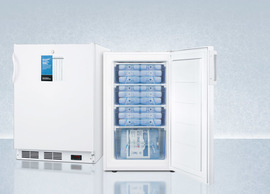 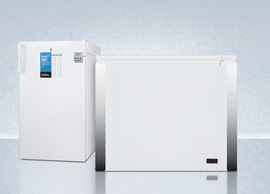 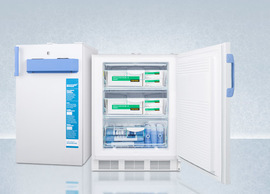 For applications that don't require the same level of product features, our "STACKPRO" series combines more general purpose refrigerators and freezers, both equipped with factory-installed access ports to accept user-installed monitoring equipment. 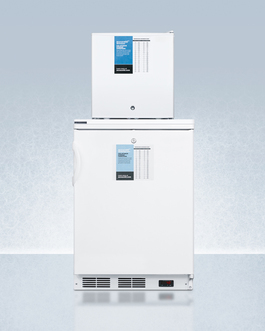 All combinations include front locks. 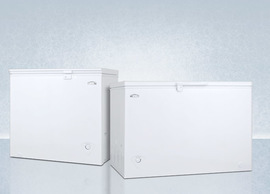 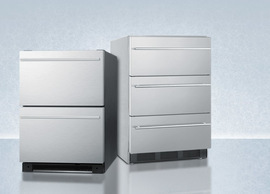 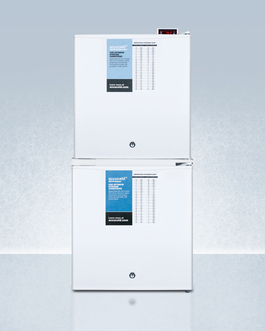 These units ship separately but are easily assembled in just a few quick steps. 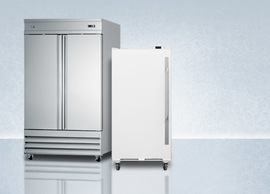 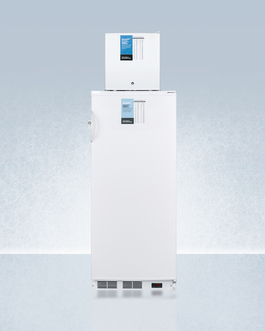 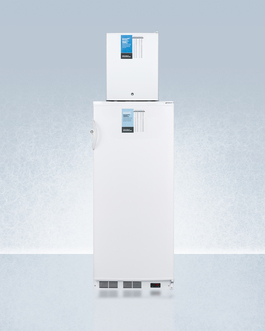 In addition to our standard options, virtually any Accucold refrigerator or freezer can be combined to create your own custom unit. 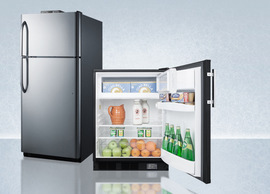 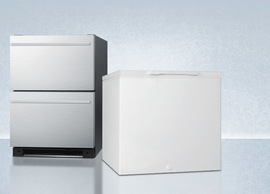 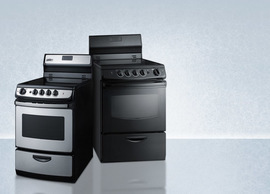 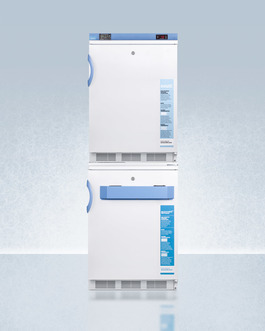 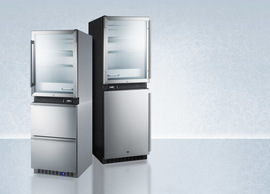 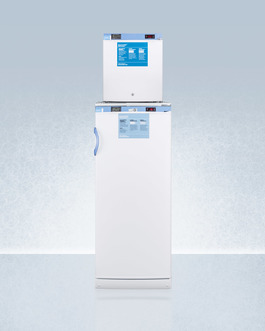 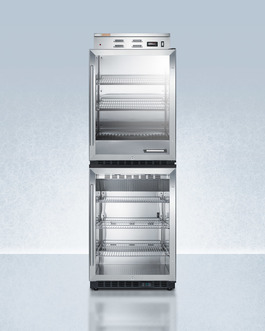 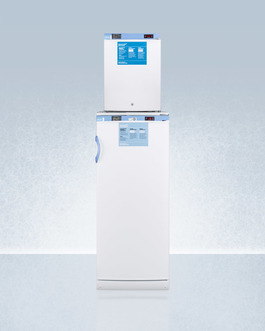 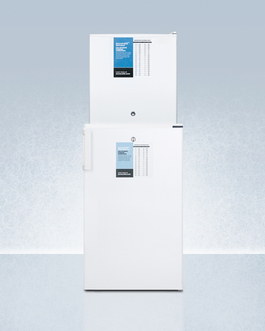 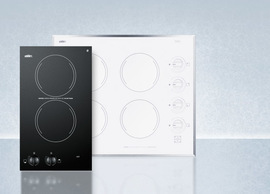 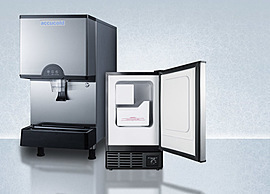 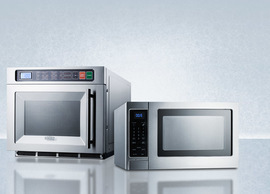 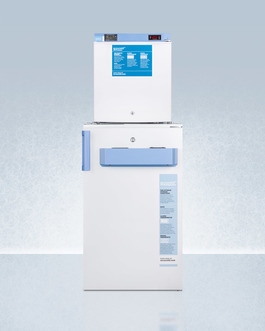 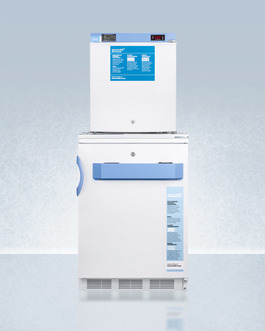 Choices include solid and glass door refrigerators, as well as a choice of manual defrost or frost-free all-freezers. 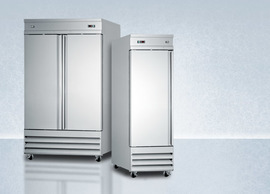 To create the perfect unit for your facility, contact our sales specialists at 718-893-3900.